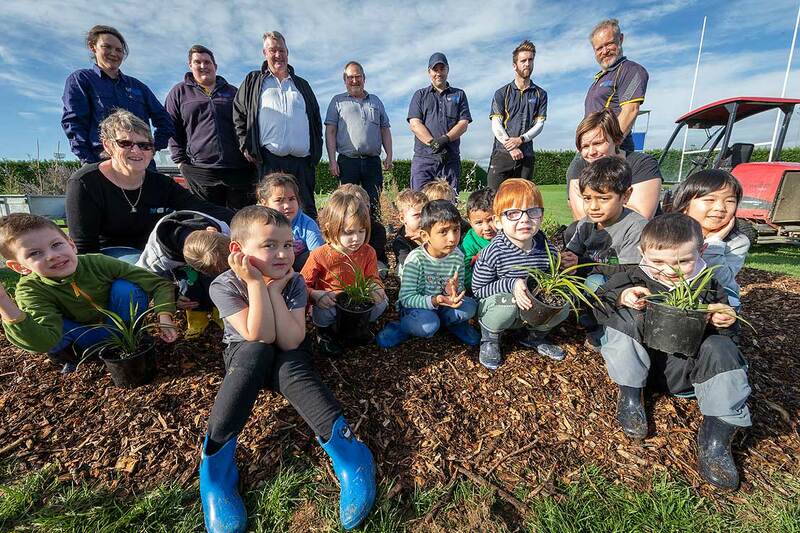 Massey Childcare and Te Uru Karaka Kōhanga Reo have helped Massey University staff plant approximately 700 native trees and shrubs. The child care centres helped plant a wildlife habitat corridor between the Massey sports fields last week. The corridor helps the University fulfil its aim of planting three trees for each that is removed on campus. Massey University grounds manager Gary Mack says the Manawatū campus is known for its lush grounds. “The removal of trees on campus is often a last resort. It is necessary for a variety of reasons, such as they are over mature and their declining state poses a risk to people or buildings, they have become problematic in their location and roots may be disrupting services or undermining foundations, the trees proximity to a building poses a fire risk, biosecurity concerns and in very rare cases it impacts on the future development of campus,” Mr Mack says.